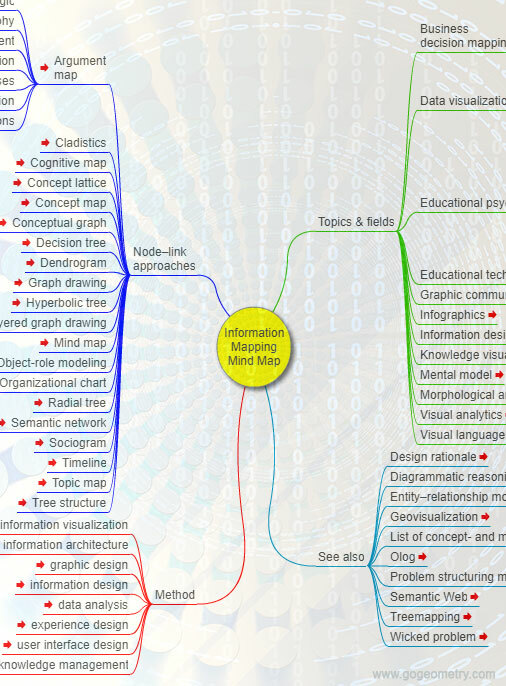 Information mapping, Mind Map, Education. Interactive Mind Map that represents connections between various topics and concepts related to Information Mapping. Source: Wikipedia: Information mapping. Information mapping is a research-based method for writing business and technical information, based on the audience's needs and the purpose of the information. Read more.